One of the primary goals for the Pearson Student Insiders, Pearson’s online college student community, is to educate students on career skills. 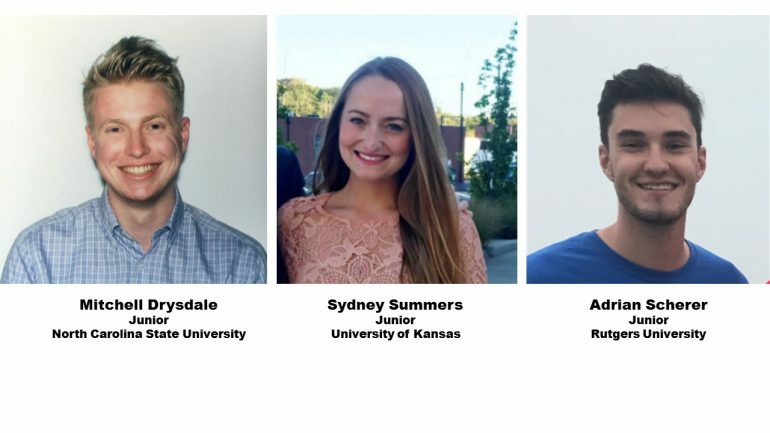 Recently we hosted a video call where Student Insiders Mitchell Drysdale, Adrian Scherer, and Sydney Summers shared their experiences about internships. Where do you find internship opportunities? A lot of Insiders reach out and say they want to do informational interviews but they are not sure how to get started. How do you handle setting up informational interviews? How do you figure out what pertinent keywords to use to tailor your resume for different positions? How do you pump yourself up to stand out during your interview? What do you take into the interview with you? How bold are you at the end of the interview? What are you doing at the very end of the interview to get that offer? What do you do to follow-up after an interview or networking chat? Once you have an internship, what do you do to stand out? How can you be a star candidate for their next hire? Find more helpful content like this, plus fun employability challenges by joining the Pearson Student Insiders today! To learn more about the program and apply, click here. If you’ve had an internship, what advice do you have for students who are just beginning the process? Share your tips in the comments below.